Another tea-picking season has come! 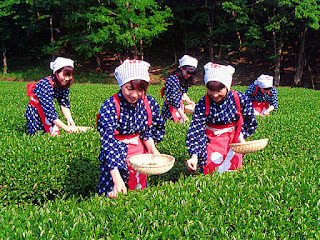 There is a traditional song known as “Chatsumi (Tea-picking)”. It says that the tea-pickers with special costumes are picking new tea leaves at the beautiful tea farms. We often sing this song using hand-gestures, too. These are from You Tube. Enjoy different version!